Offering breathtaking views of Mt. San Jacinto, Las Palmas Heights rises like phoenix in the desert. 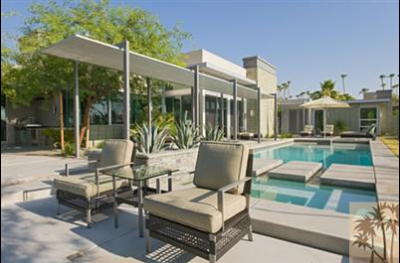 This community of nine luxurious homes is naturally nestled into the rugged landscape surrounding Palm Springs. The modern architecture offers luxurious living in a natural setting complete with infinity pool and spa treatments. 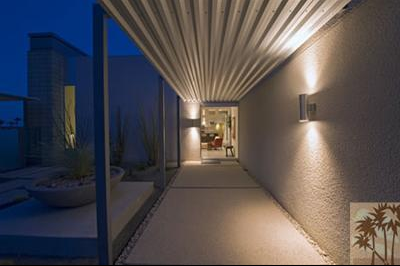 The Las Palmas Heights community is located on a private gated street in the older section of Palm Springs. Offering panoramic views of the surrounding desert and mountains, these nine custom homes combine the best of modern and traditional California architecture by local architect James Cioffi. 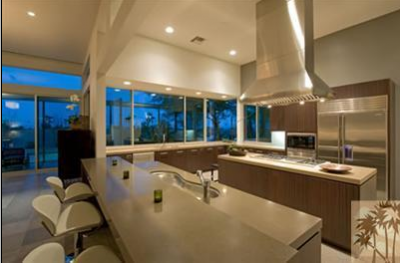 This magnificent Las Palmas real estate offers the most sophisticated amenities in the rugged setting that Palm Springs is famous for. Each of the nine homes is custom-designed creating a unique community located on a cul-de-sac overlooking Las Palmas. Each home is located on an oversized lot that offers the best in outdoor and indoor entertaining. Whether you love formal entertaining or just a cozy evening with the family, life in Las Palmas Heights has everything you need from spectacular pool and spa treatments to outdoor barbeque kitchens for outdoor entertainment and home theater systems complete with surround sound and WiFi connections and a stainless steel professional kitchen. These unique homes offer all the amenities for entertaining friends and family and enjoying peaceful days with the kids in the warm California sun. Most homes feature 4 bedrooms and 4 baths with special amenities in the master suite that include private gardens, steam rooms, and sculptured tubs. Overnight guests will feel right at home in the detached guest cottage. Nestled between the desert and the mountains, each of these unique homes offers spectacular views of the valley below and the mountains above, just minutes from the excitement that Hollywood has brought to the Palm Springs area. 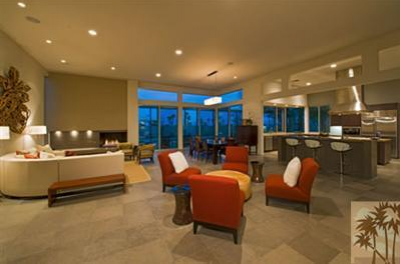 If you have been searching for a home that offers the best of what nature has to offer coupled with the most modern and sophisticated amenities, this Las Palmas Heights real estate provides these essentials and more. The private gated community offers the security that most people want for their families and the location provides opportunity for day outings with the kids to explore nature’s wonders and nights out for the parents to enjoy the electric nightlife of Palm Springs. Take a look at what Las Palmas Height has to offer a community nestled in the playground of the stars that offers both privacy and security in your own unique setting. If you would like to see property at Las Palmas Heights or Old Las Palmas, please call us at the numbers below. Were committed to helping you find the home of your dreams.